Whilst we have the summer heat wave, it is blissful to be relaxing outdoors and we’re taking every opportunity we can at Season’s Eatings to enjoy the 30ºC (and higher) whilst it lasts. It’s a bit too hot for a BBQ but perfect for a picnic with a chilled glass of Pimms or Prosecco. 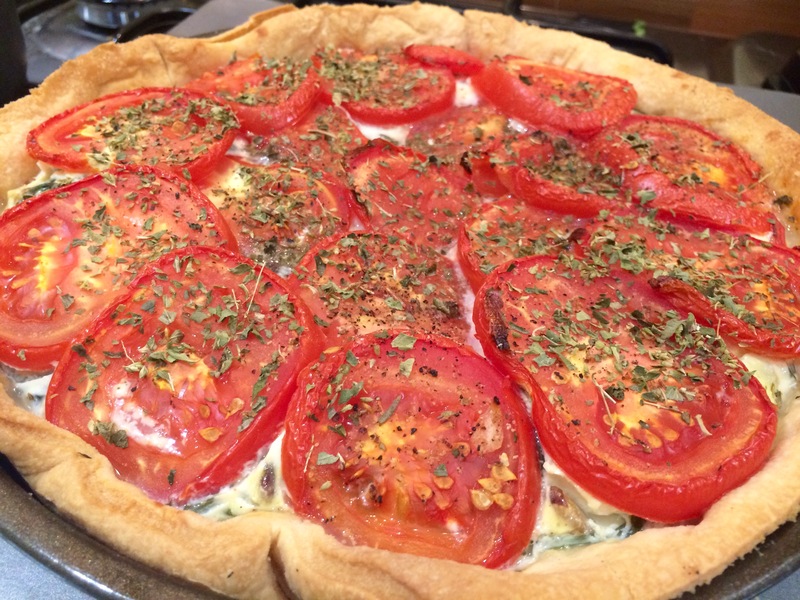 Food-wise, we’ve stumbled across a delicious and elegant recipe from Waitrose (original here) for a tomato and spinach tart that we love! This recipe combines, feta, pine nuts, spinach and fresh vine tomatoes, which are now in season through to Autumn, so perfect to enjoy. Here, the tomatoes are sliced and baked with oregano to help release their flavour, and also just look beautiful. Pre-heat the oven to 190ºC. Roll out the pastry on a lightly floured surface and use to line a 23cm loose-bottomed tart tin. Prick with a fork then line with baking parchment, fill with ceramic baking beans and bake for 10 minutes until set. Whilst the pastry is baking blind, prepare the onion, garlic and tomatoes. Add a little oil to a saucepan and fry the onions over a gently heat for 5 minutes, then adding the garlic and spinach and cook until the spinach has wilted. Remove the pastry from the oven and set aside. 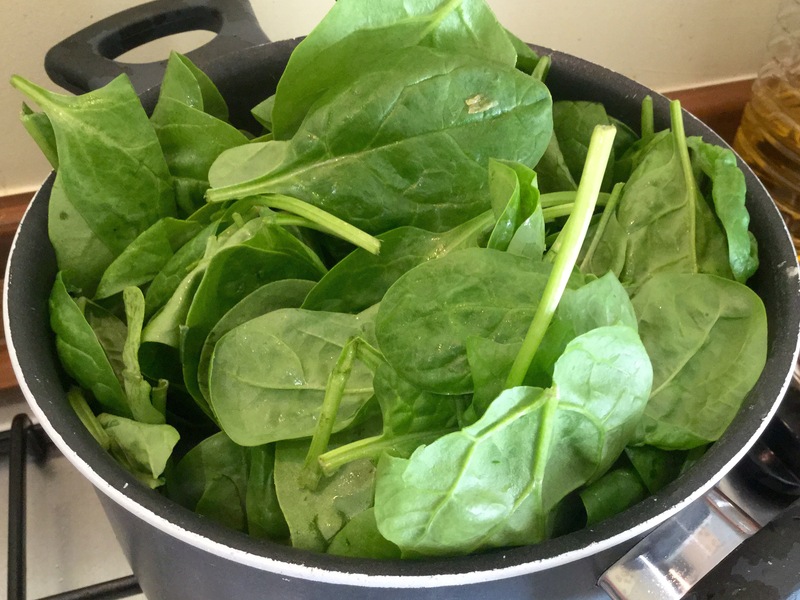 Strain the spinach mixture to remove the majority of the liquid then add to a large mixing bowl. 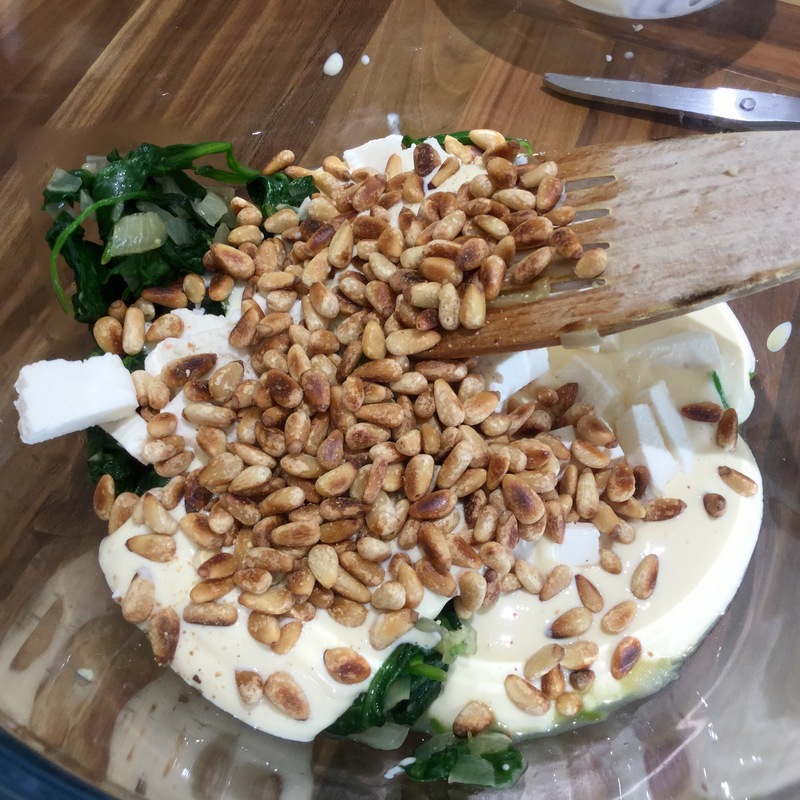 Beat together the eggs and soft cheese until well mixed, then add to the bowl of spinach with the pine nuts and diced feta. Remove the baking beans from the pastry and pour in the filling. At this point trim off any excess pastry from the edges of your tart with a small sharp knife. 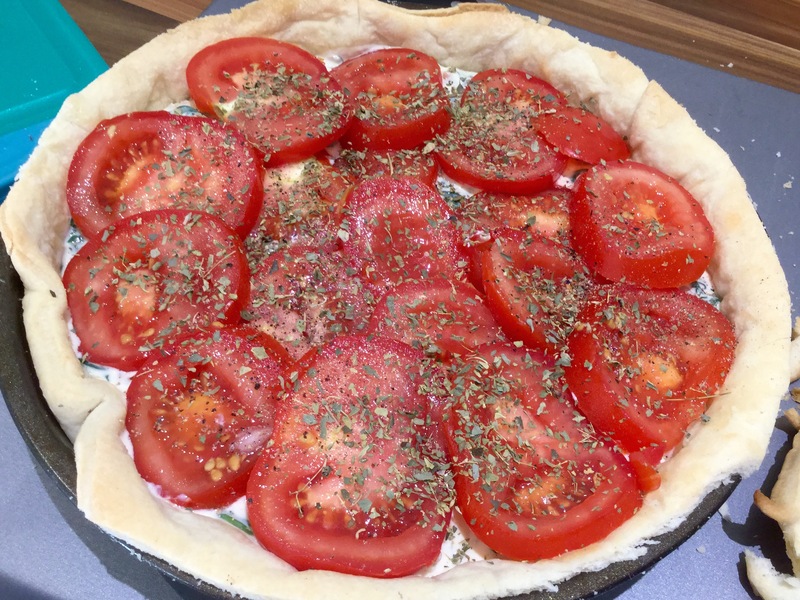 Arrange the tomato slices on top of the filling, sprinkle with the oregano and a couple of twists of freshly ground black pepper then return to the oven for 45 minutes. Once cooked, leave to cool for 5 – 10 minutes before removing from the tart tin. Serve warm or cold with a salad and chilled drink of your choosing.